The BIM adoption in Europe is taking off. More and more companies are seeing the added value of this new way of collaborating. But how can you maximize this value and make the most of your investment in BIM? Many companies make use of the different possibilities offered by BIM. A good example is the adoption of weekly clash-sessions, which is an important part of a successful collaboration. But if you want to get more return from your investment in BIM, there are a couple of ways in which you can increase the value of BIM for your organization. BIM is all about information. Many models contain heaps of data, but how do you convert this to valuable information? The Revit platform offers the users a number of possibilities with schedules, sheets, legends and more. However, there are plenty of ways to make even better use of the data in your model. A great example are links to ERP-packages, such as Syntess Atrium. With a link between the ERP software and Stabicad, you can easily convert the information in your model to valuable information for ordering, billing and inventory management. Another example is converting your Revit model to a presentation model with Revit Live. A high quality presentation version of your model can play an important role for your client. Handling the available information is however, just the first step. By enriching the existing information, you can take the BIM process to the next level. With an increasing share of installations in buildings, the importance of technical installation calculations cannot be ignored. A BIM model is ideal for performing various calculations, since a great part of the needed data is already available in the model. Think for example of integrated calculations for pipes and ducts according to local norms in Stabicad for Revit. At this moment, there’s only a small number of contractors looking beyond 3D BIM. This is were still a lot of profit can be gained. 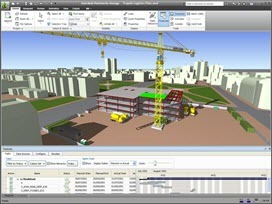 With 4D BIM for instance, meaning visually providing insights into the planning of the building. This is possible with the Autodesk application Navisworks. In particular, 5D BIM (cost calculation) and 6D BIM (lifecycle management) will provide significant added value for larger projects. By continuing to look for these kinds of improvements in collaboration and data usage, your organization will get the most out of the BIM investment.